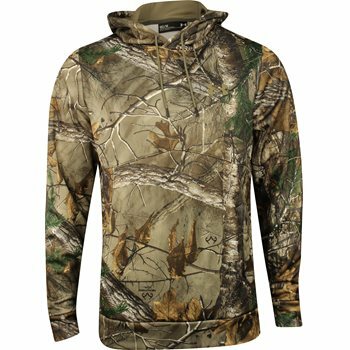 The Under Armour Camo Franchise Hoodie is a staple for anyone who loves the outdoors. This sweatshirt can be used as your main outerwear piece, or it can be used as a layer during those extra chilly days in the treestand. The Camo Franchise Hoodie is water resistant, so rain and snow will no longer interfere with your trips to the woods. This hoodie also features a drawcord hood, a kangaroo pocket, and a protected phone pocket.